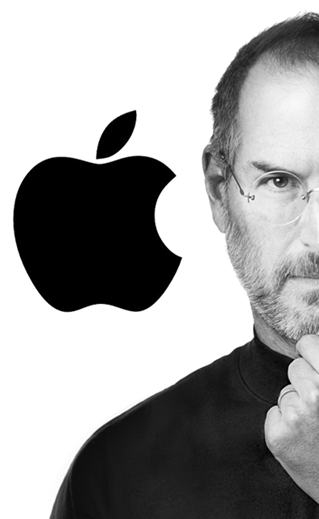 Steve Jobs’ untimely death to pancreatic cancer has unquestionably left a glaring hole through Apple’s core. It’s been public domain for a long while now that the Cupertino-based company is looking to delve into the market of Connected TV. Although Apple TV has been around for a few years now, the tiny black box was initially dismissed as a hobby by CEO Steve Jobs, and the recent reports of iTV with a prospective 2013 launch would certainly seem more like it. Walter Isaacson, who documented Jobs’ life story in his best-selling biography of the Apple co-founder, has revealed in a New York Times interview that the lucrative television market was just one of three main areas in which Jobs sought to "reinvent". “There’s no reason you should have all these complicated remote controls," he told Isaacson, which seems to confirm – if there was ever any doubt – that Siri will likely play a major part in any Apple-branded television set. As well as TV, he wanted to revolutionize the way people use textbooks, which suggests that rather bringing a new product to the fold necessarily, he envisaged all textbooks going through yet another fruit company Store, allowing students to grab the latest and best textbooks to read (and possibly annotate) on their iPads. He also, rather interestingly, wanted to place Apple’s seed in the photography market – which could mean a number of things. The cameras in the iPhone range are competing with the big guns on socio-image sites like Flickr, so there’s every reason to believe that he envisaged smartphone snappers eventually reaching a standard whereby the bulkier standalone cameras are no longer necessary. However, it could have meant (and, theoretically, could still mean in terms of eventual release) that he planned to design a camera bearing that iconic Apple logo . Whatever the case, it will be interesting to see whether such a rethink of those three markets will ever bear fruit. Without Jobs’ determination, ideas and vision, we may never fully see what he had in store. Although he said that Jobs is irreplaceable at Apple, Isaacson does reckon that Tim Cook – the "business" side of Steve Jobs’ brain, paired with Jony Ive – the "artistic, emotional, romantic side," will be more than sufficient in continuing the Jobs legacy.